One of the biggest energy suckers in our life is our inner critic. In order to rediscover our sacred wild self, and raise our vibration, we need to replace that voice. I designed this system to help you break free of negative self-talk and activate your empowering inner voice. With these 4 Keys you will have the power to cut cords with negative self-talk. 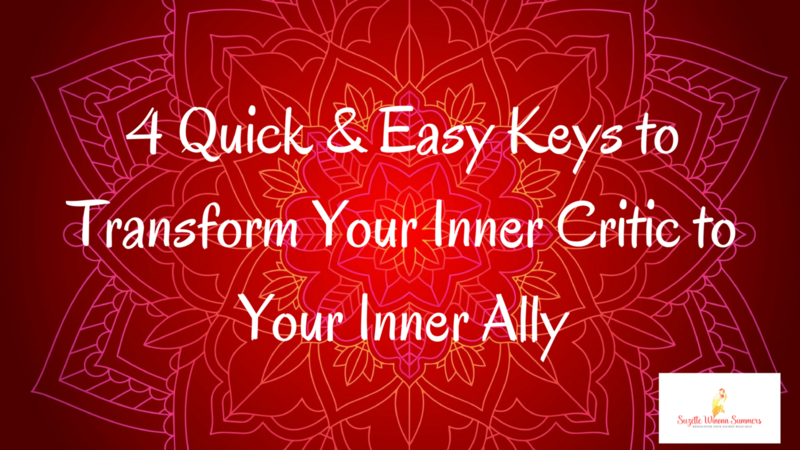 Replacing negative self-talk with a supportive inner voice becomes simple using the 4 Keys contained in this guide. Using these 4 Keys, you will learn to replace negative self-talk with positive self-talk, and finally be able to truly empower yourself.